These softsubs are for personal use only. These are not for sale, reposting or re-uploading. 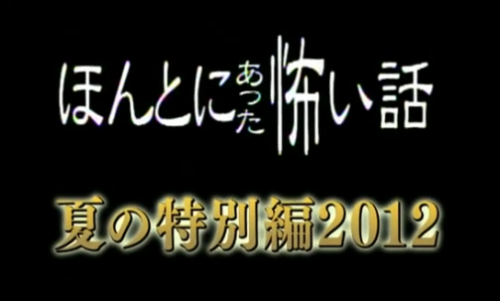 Honto ni Atta Kowai Hanashi 2011 (Fuji TV, Summer 2011) aired on September 3, 2011. It features five stories with a cast led by Mukai Osamu, Takei Emi, and Ashida Mana.